2017 saw an increase in cybercrimes in Australia. Back in May, News.com.au reported on the massive ransomware attack across the world, mentioning that at least three private businesses in Australia were hit. While Australia didn’t experience any major attacks, other countries suffered losses. In total, the incident affected around 200,000 people in 150 countries. Countless computer systems were examined in relation to the extortion plot where users would get kicked out unless they sent payment. Identity thefts will not occur if there is nothing to steal. Therefore, you should refrain from saving any customer data that isn’t important to your business. Storing payment card details is against PCI (Payment Card Industry) standards anyway. These details are usually handled by the payment provider. What you can do is use an encrypted checkout tunnel so that your servers won’t save any payment data. For your ecommerce business to have decent security, it should at least be able to withstand common attacks. Business2Community suggests to begin with a firewall, because it weeds out the untrusted networks and controls the website traffic. 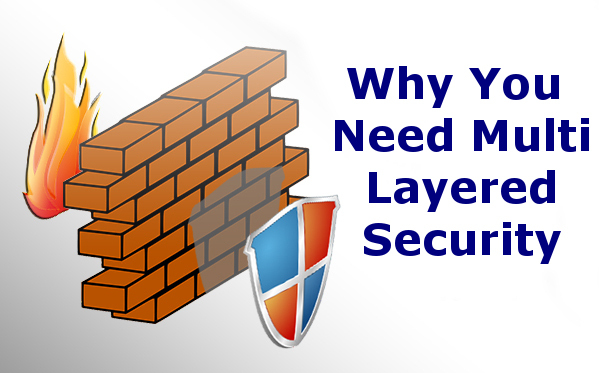 Firewalls serve as a great first line of defence against the usual hacking threats. Once in a while, your server may be attacked by malicious queries that intend to keep your website from functioning properly. 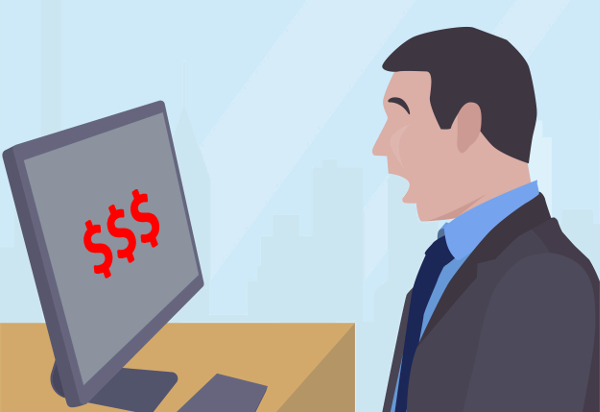 These Denial of Service or Distributed Denial of Service attacks can keep you out of business for a long time, which is why security measures should be taken to prevent them. DoS and DDoS raids can come from different sources, like applications and traffic flooding. The best defence is to invest in more bandwidth, since a large amount of space will render it difficult for attackers to flood your site. The downside is that this is also the most expensive solution. However, it’s in your best interests to spend on security. DP Computing previously explained the importance of not being cheap when it comes to security technology, as it serves your business in the long run. Another DP Computing article advised to pay close attention to the URLs on Google, because hackers would sometimes use phishing scams to acquire sensitive information from customers. These involve links that if accessed, will install malware on your PC that can steal information. When checking URLs, be wary if the website uses only HTTP. It is more appropriate for ecommerce platforms to use HTTPS, especially on pages where data is created. Unlike in HTTPS, information entered on HTTP is not encrypted. The data is only sent as plain text, making it an easy target for hackers to intercept. Although, remember that not all website pages need to be in HTTPS, or else your website speed will suffer. Pay attention as well to how your website appears on Google search results, especially if your business is using paid search ads. Ayima noted that Google has improved its algorithm on paid search ads, stating that emphasis is placed on close variants. This means that advertisers will have an easier time of building lists to match user queries. 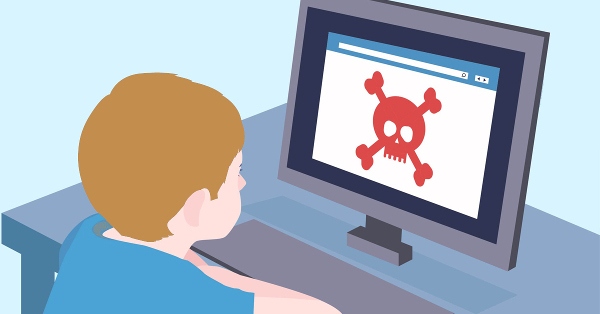 Since paid ads are becoming more rampant now, hackers have taken the opportunity to promote their malicious sites in order to fool thousands of victims. If by any chance, your website’s ad appears shady or seems similar to a malicious ad, take it as a sign to rethink your campaign. In today’s digital landscape where hackers are getting more creative with their attacks, the importance of cyber security cannot be stressed further. For ecommerce businesses, security investment should be one of the top priorities. Left unchecked, your website could close down at any time, resulting in huge losses in revenue. You can have the best in computer and network security but if you or one of your staff members inadvertently give out some information all the security can come to nought. Social engineering is the art of manipulating other people to take certain actions or divulge private information. Some hackers use social engineers techniques and skip the hassle of writing code and go straight for the weakest link in your security defenses – you and your employees. A seemingly innocent phone call or email may be all it takes to gain access to your computer systems, despite having solid software and hardware protections in place. Email: Pretending to be a co-worker, supplier or customer who needs a simple piece of information. 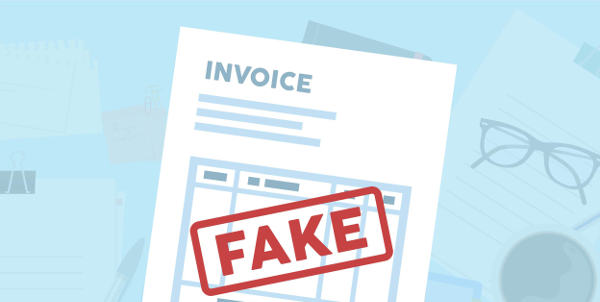 It could be a money transfer, contact person or some sort of personal details that they pretend they already know, but simply don’t have in front of them. The hacker may also create a sense of urgency or indicate fear that they’ll get in trouble without this information. Your employee is naturally inclined to help and quickly responds with a reply. Phone: Posing as IT support, government official or even a customer, the hacker can manipulate your employee into changing a password or giving out information. These attacks are hard to identify and the hacker can be very persuasive, even using background sound effects like a crying baby or call-center noise to trigger empathy or trust. In person: A person in uniform or a repairman can easily get past most people without question. 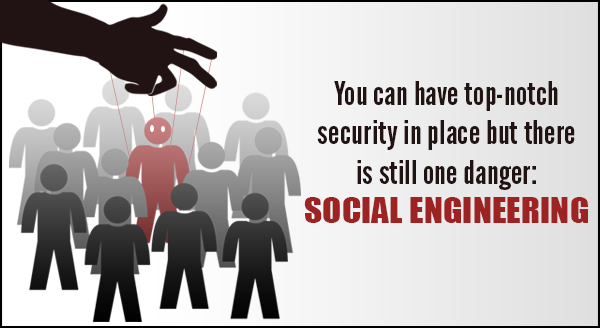 The social engineer can then quickly move into sensitive areas of your business. Once inside, they become invisible and are free to install network listening devices, read a Post-it note listing passwords or gain information and tamper with your business in other ways. It’s impossible to predict when and where (or how) a social engineer will strike. The above attacks aren’t particularly sophisticated but can be extremely effective. Your staff have been trained to be helpful, but this can also be a weakness. 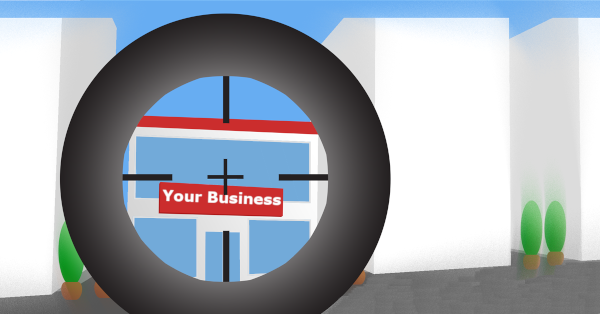 So what can you do to protect your business? First, recognize that not all of your employees have the same level of interaction with people, the front desk person taking calls and welcoming visitors is at higher risk than the back office or factory worker. We recommend cyber-security training for each level of risk identified and focus on responding to the types of scenarios like those listed above. Social engineering is too dangerous to take lightly.